This paper provides CAARA members with a guideline on the potential use of third party providers to digitise and provide access to public records. provides recommendations to mitigate any risks identified after evaluating the issues. The Working Group recognises that while CAARA members share fundamental points of policy and service, member institutions operate in different legislative jurisdictions with often distinctly different powers and authority. The guidelines aim to reflect these differences by providing a broad framework that allows members to achieve a common and consistent approach to the use of third parties within their own jurisdictions. In the past few years there has been an increase in the number of third parties providing access to digital copies of records on the Internet. The copies are sourced from a wide variety of collections, including public record agencies. These third party organisations are primarily commercially driven with a focus on providing services to genealogical researchers. While their presence in Australasia is presently relatively small, third party providers are increasingly actively approaching CAARA institutions to enter into agreements to digitise popular records for use on primarily genealogically-orientated websites. Significantly the third parties have to date been predominantly organisations based overseas that have had experience dealing with institutions in the UK, Canada and the USA. Most notably The National Archives [UK] has entered into agreements with several third parties to digitise and provide access to records such as Census records. Increased choice for users in methods of access to public records, particularly benefiting geographically distant users. The ability to maintain a free access model to digitised records on the particular CAARA member website. The potential for financial remuneration for permitting the third-party use of the records (possible charging models being the use made of the records or a flat up-front payment). Potential use of the digitised copies in the future for the provision of free public access. Cost savings to archives on the basis that digitised records can be made available online at a much lower marginal cost than the physical originals. Increased accessibility, as the records are more widely available after being digitised and indexed by third party providers. Aggregation into a larger online collection with national and international level records increasing visibility and the value of records by placing them in a global context. Complying with Copyright legislation in relation to the use of public records. A set of principles specific to entering into partnerships. The two sets of principles aim to be complementary and to provide as full a context as possible for an archive considering entering into a third-party agreement. For the purposes of simplicity, in these principles [the archive] can be replaced with the CAARA member institution name. The principles do not have to be used in their entirety in order to be effective: different member institutions may wish or need to remove or otherwise vary the principles in order to meet their own objectives and their legislative mandate. Rather, these principles aim to cover the gamut of likely issues and considerations that – in the absence of any specific enabler or restriction – should be taken into account in a digitising program with a third-party. The principles for partnerships refer to ‘partnership’ in the broadest sense and do not assume that the nature of the final agreement will be in the form of a formal “partnership” document. The legal instrument utilised by each CAARA member institution will be determined by their own operational environment and may be in the form of a contract, license, memorandum of understanding or other equivalent agreement. Improved access to public records will be facilitated. The preservation of public records by reducing wear and tear on original records will be enhanced by ensuring they are digitised once only. Digitising according to [the archive’s] relevant standards and specifications against a documented, repeatable process reduces the cost of having to repeat the process, reduces wear and tear on records, and ensures authenticity, reliability, accountability and auditability. Digital copies of items and series of items represent the original records directly. Digitising will capture, preserve and provide contextual information about the digitised records. The use and reproduction of digitised records will be in accordance with [the archive’s] policies on access and user charging and in compliance with any copyright or other access restrictions. Original records will be managed in accordance with [the archive’s] Digitising Disposal Policy. The basis for partnerships will be to support the goals of increased access and enhanced preservation of public records. [The archive] may enter into partnership arrangements with for example other collecting and research organisations, government, commercial, community based and not-for-profit organisations, institutions and individuals to undertake digitising projects. Partners may participate in digitising projects in a variety of ways including through full or partial funding, grants, donation, sponsorship and in-kind contribution. [The archive] will structure partnerships to balance the interests of the public with a partner’s financial investment in the project. There will be no single required partnership model. [The archive] will seek to protect and enhance its own institutional interests, while at the same time respecting the interests of its users and its partners. Agreements with partners to digitise public records will be non-exclusive; that is, an agreement with one partner to digitise a particular group of records will not preclude [the archive] from entering into an agreement with a different partner to digitise the same group or sub-group of records for the same or different purposes. The security, safety and accessibility of original records being digitised will be assured at all times during the digitising process. Partnership agreements will require a full set of digital copies produced by the partnership and created according to [the archive’s] standards for format, quality and metadata to be provided free of charge to [the archive]. [The archive] will own the digital images produced in a partnership agreement and any intellectual property and copyright in those images and their associated metadata. [The archive] will use digital images created in a partnership agreement to meet its statutory obligations at any time and will make such images available through its Internet / web facilities at its discretion. Any use by a partner of digitised images that is permitted by the partnership arrangement will include acknowledgement of and referral to [the archive] as the source of the original authoritative records. Note: these issues were highlighted in the initial working group report. This report now incorporates a series of recommendations to address the key issues raised in that report. All material provided to third parties under an agreement should either have copyright clearance or be out of copyright. In most cases this means CAARA institutions will need to have the authority to manage Crown copyright. Due to the nature of public records it may be very difficult in most cases to trace the ownership of non-Crown copyright. Most agreements offered by third parties have so far required that the custodial institution guarantee they have the authority to license the material. the level of risk inherent in the digitising of those records. In addition to determining the level of risk a take-down procedure should be developed and advertised on the institution’s public website. This would demonstrate the institution’s preparedness to remedy an infringement and would add to the mitigation of the risk. While being a post-hoc activity, it would be an important element of limiting any damages in the extreme circumstances where litigation may occur. A take-down procedure is also important to negotiate during the development of the agreement with the third-party digitising the records: they will have to mirror such a take-down procedure as far as possible to ensure that all extant online copies of the record are removed promptly. Provisions in either the New Zealand or Australian Copyright Acts will also impact on this recommendation for CAARA institutions. The relevant sections are summarised below. Section 200AB of the Copyright Act 1968 (CTH) also contains a specific reference to archives: this section is reproduced in Appendix B. This provision, coupled with a suitably documented and advertised risk-management framework and a well-publicised take-down procedure that is mirrored in the third-party agreement, could be a very effective response to the risks of copyright breach. Many third parties ask for a period of exclusivity in providing access to the digitised records. CAARA institutions should consider the impact of any exclusivity arrangement on all stakeholder groups including users and government. Third-party providers can be asked (and to date, experience has shown they will agree) to provide free access to the digitised records during any period of exclusivity via Internet access points to their records portal in the institution’s public reading room(s). This compromise would meet the contractual obligations of the institution to not make the digitised records publicly available themselves but would still allow them to make the records available to the visitors to their reading room(s). Retaining ongoing access to the physical originals would also provide a neutral net impact on stakeholder groups, as they would continue to have access that was granted previously. The benefits would increase to the users of the public reading room(s) and ultimately all stakeholders would benefit at the conclusion of the period of exclusivity. CAARA institutions operate under legislation and policies that promote the provision of free access to public records. Copying services, including digitisation on demand, are not essentially revenue raising. CAARA institutions should be aware stakeholders may perceive agreements as being in conflict with the principles of free access. To a large extent this issue is one of perception and must be dealt with accordingly. Publishing the institution’s digitising policy will provide clarity to stakeholders as to the underlying reasons for entering into third-party agreements, and should also provide reassurance of the prescribed limitations of such agreements in terms of reducing free access. Ensuring access to such services as third-party digitised records portals in the public reading room(s) during periods of exclusivity while also retaining full access to the physical original records will demonstrate an ongoing commitment to free access. Some CAARA institutions may not have the legislated authority to enter agreements that allow third parties to commercialise public records on the scale requested. This is the case with the Archives Office of Tasmania. Conversely, the establishing legislation for State Records NSW has been amended to allow for agreements with third parties to provide access to copies of public records and Archives New Zealand can rely on s11(1)(c)(iii) and s48 of the Public Record Act 2005. While the large third-party digitising organisations are the most obviously attractive to CAARA institutions in terms of their experience and access to resources, other options are available if they cannot be engaged. There are a great many grants available that could allow member institutions to fund their own digitising programs or to ‘subsidise’ community groups to digitise select groups of records in which they have a particular interest. Such digitising would have to take place under the auspices of the institution if they were unable to enter into agreements. While this is on a much smaller scale than desired, it would still over time facilitate the digitising of parts of the collection. A prioritisation model could be developed to determine which records the institution would most prefer to have digitised and this could be advertised on its public website. As an example: Public Record Office Victoria is currently working on such a model that uses as its basis the metrics high value, high risk, high use and high opportunity. Partnership principle 9 implies that the archive will hold a master copy of the digitised images and make those images available via its own website. This may not always be the case. Certain digitising partnership arrangements may result in the images being stored on and/or made available via a third party’s facilities. If the archive agrees that only the third party will hold copies then the agreement should specify the preservation period and requirements for those copies, as well as any subsequent return or destruction requirements for those copies. (ii) for which it is licensed. (b) can access the digital copy only through a verification process that verifies that the person is entitled to access the digital copy. (d) the use does not unreasonably prejudice the legitimate interests of the owner of the copyright. (c) is not made partly for the purpose of the body obtaining a commercial advantage or profit. 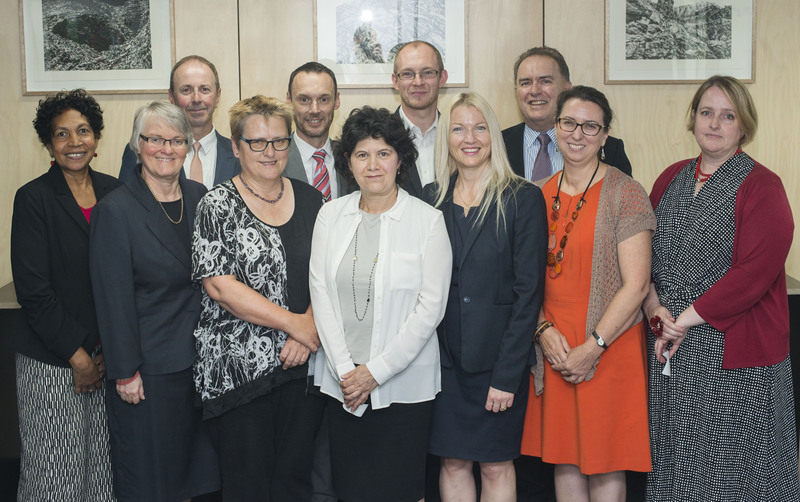 The aims of CAARA are to promote a sense of understanding and consistency in the management of records of the Commonwealth, New Zealand, and the Australian States and Territories. Matters that have been considered by CAARA have included issues such as the management of records following the transfer of functions between governments, and between governments and the private sector; principles for the disposal and access to ministerial records; the ongoing review of copyright legislation; and the state of archives in Australia.